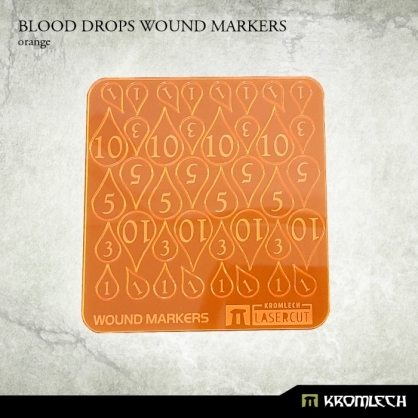 This set contains a plate with Blood Drops Wound Markers made from orange fluorescent acrylic. There are 16 ones, 8 threes, 8 fives and 8 tens on a plate. 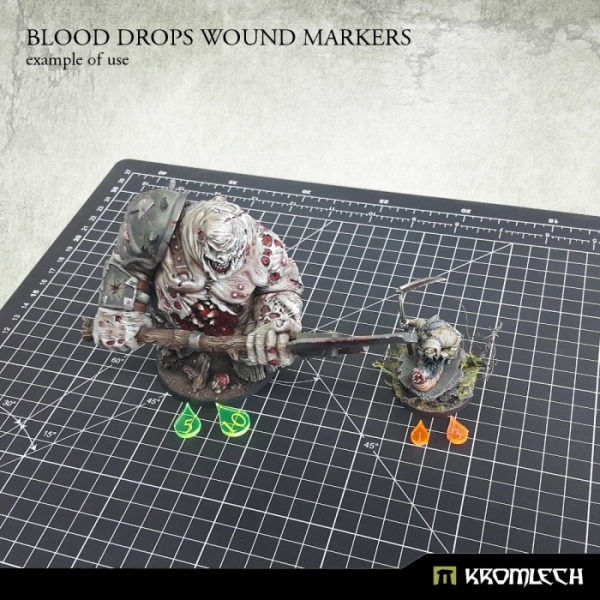 Each Blood Drop needs to be push out from the plate to use for your game.